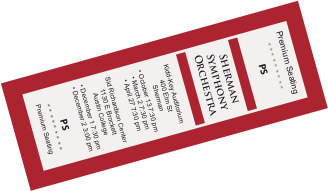 The first concert of the SSO’s 53rd season features Dvorak’s Eighth Symphony. Deeply moving and full of tunes, this masterpiece may be the greatest symphony you don’t know. Each section of the orchestra has a chance to shine; thrilling brass (wait to you hear what Dvorak has the horns do in the last movement! ), woodwinds in ravishing counterpoint, heartbreakingly beautiful strings. But wait, there’s more! This is the evening to come if you love beautiful tunes and great orchestration. Also on the program are Rimsky-Korsakov’s Capriccio Espagnol, a brilliant tour de force with the feel of Spain and Delius’ Walk to the Paradise Garden, a moody and sublime tone poem from his only opera. Yes, Santa comes to the SSO Christmas Pops. Really; that’s the Jolly Old Elf at a recent Pops! The Pops is all about family, so come with snacks and enjoy the table seating, coloring contests, talk with Santa, and listen to delightful seasonal music. Special guests and special musical surprises every year, it’s a great way to start your holiday season. Round reserved tables up front are available for an additional cost--we just can’t promise that the Man in Red will be at your table. But maybe . . .
Do you think you know Beethoven? 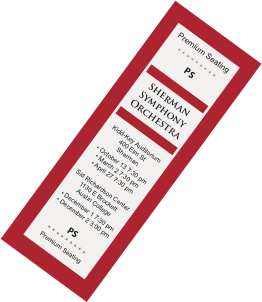 You’ve heard almost all of his symphonies, including the Ninth last season, if you are a regular SSO concertgoer. But the Eighth Symphony might just be the one you don’t know--so now’s your chance! 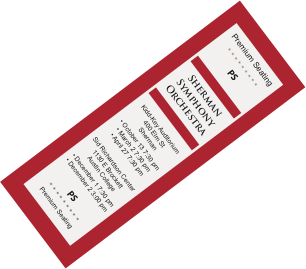 This symphony has all of the grandeur and beauty you expect from a Beethoven symphony, with a few surprises tucked in here and there. Come find out what you’ve been missing! The SSO On the Road. The orchestra’s 2018 Christmas Pops will travel to Greenville for a one night performance in Greenville’s fantastic Municipal Auditorium. If you’re free, why not come hear us again and enjoy visiting historic Greenville? For information and tickets, please contact the Greenville Municipal Auditorium. 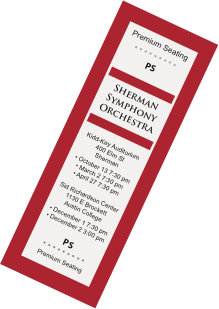 The orchestra’s 2018 Christmas Pops will also travel to Ardmore, OK for a one night performance in the beautiful Goddard Center. Join us for this fun concert and have dinner in downtown Ardmore’s wonderful restaurants. For information and tickets, please contact the Goddard Center in Ardmore, OK.